THE DAY HAS COME… A+ or F…. ““““““““““‘Abstract’. What did you do and why was it important to you? 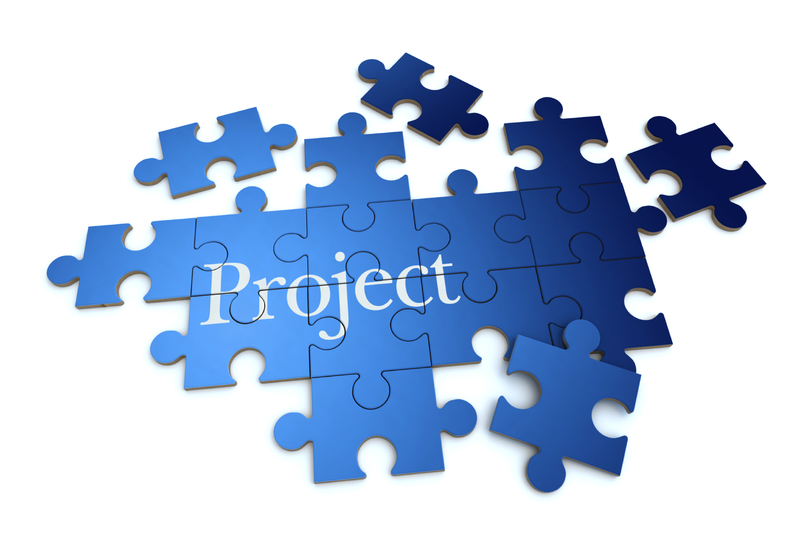 What were your main findings from the project? For this project, I have designed 3 prototypes of sensors to resolve Vietnam’s traffic issue. My three types of sensors were ‘induction loop sensor’, ‘ Radar/ Ultrasound detector’, and ‘Sensor attached drone’. These were very important to me in lots of ways. For example, these will benefit local people in two ways in Vietnam; directly and indirectly. As a direct effect, it would make my way to school safer. As you can see from the 3D model prototype, I have made a smart traffic light system where pedestrians from Vietnam can be prioritized in the traffic light system. Where it would make my way to school safer as ultrasound detector naturally detects my movement. I have presented my project in two different ways. I have presented ‘induction loop sensor’ and ‘Sensor attached drone’ mostly by an infographic, however for ‘ Radar/ Ultrasound detector’ I have made an actual working 3D model by Arduino. I have made an actual model since I truly believe that just showing products by pictures would not be very persuasive and effective. From this project, I have learnt lots of things related to traffics. I read an astonishing report paper published by WHO, reporting that approximately 14 000 people lose their lives each year in Viet Nam as a result of road traffic crashes. Which motivated me to actually invent this invention in future for Vietnamese local people. I felt really uncomfortable knowing this fact since there is a decent chance that one of our family members, friends, teachers, or people who I know to be a next victim of a traffic accident. By doing future research I have found out one good information and one sad information. Starting of with sad information, I have found out that most of the accidents happened because local people weren’t keeping traffic law. Which increased the traffic accident rate. However, I have also found out that Korea and United State have already attempted to connect sensor with a traffic light, which turned out to be a hugely successful experiment. The main challenges for me were coding and making 3D model. Since I am not a computer science student, I didn’t know what coding was at beginning of the project. However, as Mr Bunting recommended me to make a model, I started to get interested in coding. But being interested and doing a good job was a completely different thing. It was super challenging for me to create a useful traffic light in 3 days without even knowing what coding was. Thankfully, my strengths have came out at this moment. Which were being confident and being patience. By these strengths, I have created an actual 3D model, in 3 days by not having lots of sleep. If I have to choose one more weakness it would be judgement and time management. One of the biggest mistakes, I have made was to choose infographic as a way to present to peers. I wasn’t aware that it is really hard to get in detail with an infographic. I have learned lots of things from my new and old research questions. For my old research question, I have learned lots of information about satellite and internet. The word “satellite” is more general than what we think: it means a smaller, space-based object moving in a loop (an orbit) around a larger object. For example, Moon can be a natural satellite that orbits the Earth and the artificial satellite would be a satellite we imagine at the first time we hear satellite. I also learned that Titanium, Aluminium, Nickel-Cadmium (Alloy), and Aluminum-Beryllium (Alloy) could be used to make a satellite, as these materials are strong and light. For my new research question which is ” To what extent would inventing sensor attached traffic light benefit, local people?” I learned lots of things related to traffics. I read an astonishing report paper published by WHO, reporting that approximately 14 000 people lose their lives each year in Viet Nam as a result of road traffic crashes. Which motivated me to actually invent this invention in future for Vietnamese local people. I felt really uncomfortable knowing this fact since there is a decent chance that one of our family members, friends, teachers, or people who I know to be a next victim of a traffic accident. By doing future research I have found out one good information and one sad information. Starting of with sad information, I have found out that most of the accidents happened because local people weren’t keeping traffic law. Which increased the traffic accident rate. However, I have also found out that Korea and United State have already attempted to connect sensor with a traffic light, which turned out to be a hugely successful experiment. !!!. I will now finish my research until tomorrow, which is May 13 and start to make a product to finish my project on time 🙂 I believe that starting is half and since I have started I believe I have finished hardest job 🙂 which is starting. My project is going to be mainly focused on research question “To what extent would Inventing a satellite that can supply global internet, affect people in remote area ability to get help?”I found out that internet is taking a huge part in nowadays’s society and people in remote area are less exposed to opportunity of interacting new technologies. To help people in remote area, I planned out to build a satellite to help people encounter “The Fourth Industrial Revolution” technologies. Some may ask, why do I care?. Well, during school trip I have witnessed lots of local people living very uncomfortable life (in my perspective) because they don’t have enough technologies. As I felt this is unfair to local people, I would like to borrow this opportunity to help people in the remote area. I am going to build a satellite for this project. During my planning section, I have found out that the most effective way of sending signals to the worldwide area is to send it from space. Your timeline for completion – what you are doing when what do you need to learn and when are you going to learn it. Refine the research question and start on researching. May 4th Ask Mr. Bunting or some friends to look over my research question and my plans. Continue with the research ( Lots of research) May 6th Make a list of what I’m mainly focusing on, and research on some other engineering techniques that can collaborate with my product. Continue with the research ( Lots of research) May 9th Understand how the technique works for my “engineering” product and use my imagination! Finish final blog May 15th Finalize with everything! Korean Penisula was a fabulous topic to research about. Actually, it was like an onion where everything new comes out as I peel each layer and layers. There were lots of things I learned from this and if I have another chance I would like to try this project again with little bit more time so that I can actually enjoy researching. For this project, my questions were “In what ways will sea level rise influence the Korean Peninsula” During research, I found out that Korean Peninsula not only talks about Physics, but it talks about lots of different subjects such as Politics, Geography or Biology. First I chose to make a video to present to people. I think the video was the best way to present to people because by a video we can communicate better. Since video let us make a verbal communication with giving the audience some sight examples it would be the best way to communicate. My driving question was “In what ways will sea level rise influence the Korean Peninsula” I chose this topic because I think it would be very interesting and useful for future since by researching Korean Peninsula we would be able to compare Renewable energy policies between South and North. Also as everyone knows a few months ago there were some incidents between South Korea and North Korea, about North Korean soldier escaping North Korea. After watching some news about this I started to question myself why can’t we be friends. I could not answer since it was not a simple answering question. As a result, it made me be curious about North Korea. Personally, it was also important to me since I am Korean and I am a male, who has to go to the army. It feels like I still have lots of time period, but actually not. Since all Korean males are forced to go army as they turned up to be an adult. Which made me think about how we can be more connected with North Korean and I have found out that North and South will not survive unless the rate of climate change reduces. ‘I also found out that Korea isn’t a very developed country in this world. Until yesterday I thought Korea was one of the top countries in the world, however, after researching about Korea’s status in Renewable energy, I was quite disappointed in Korea’s position in the renewable energy category. By this, I have learned that as a Korean we shall think more about the earth and take care of it. I most main findings was that if North Korea and South Korea unite with each other, we will be stronger than any other country near Korea.South Korea and North Korea should reunite to find the new way of developing producing renewable energy. 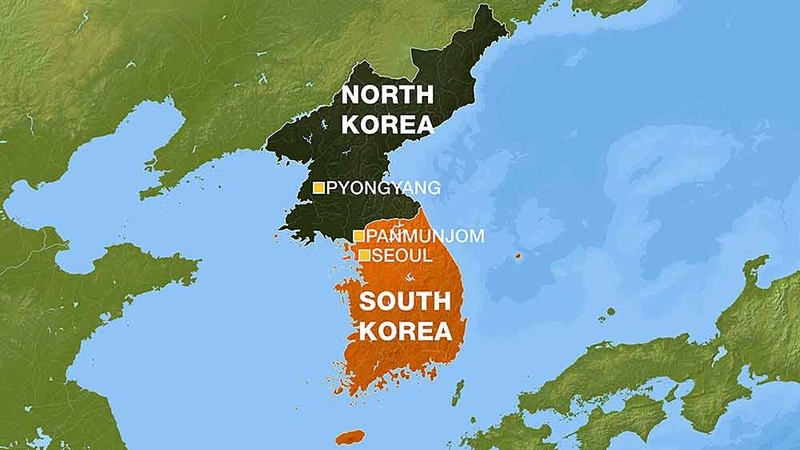 South Korea and North Korea would work best each other since Geographically North Korea has the better land shape for hydroelectric power generation, whereas South Korea has a technology to use this hydropower. There were lots of challenges I have faced in this project so far. First of all my biggest challenges were finding English written evidence. Since I am presenting my work in English, I tried my best to find some good English written evidence. However, as I research I found out that since my research is based on Korean Peninsula there would be more Korean written evidence than English written evidence. As a result, to overcome my challenge I have decided to use Korea governments reports to support my explanations and my claim. Another challenge I have faced is that it is very hard to get good reliable resources that are related to North Korea. Since North Korea is not a very open country there is a limit to finding North Korea’s information. To overcome this problem, I decided to research base on company’s proposal report. I have found out that there are lots of North Korea renewable energy business related proposal made by various of companies, which contains lots of information about North Korea.As a result, I have decided to use this information that has been researched by companies, so that I can have good reliable evidence. My weakness was that I wasn’t very organized from beginning to now. I was quite behind of my timeline since my timeline is made without considering other subjects. Considering I am having tests and projects in other subjects I should have made my plan more realistic but I wasn’t able to make a plan more realistic.My other weakness was that my video is too long which may take points away from me. Having long video is a disadvantage since students and people tend to like short concise videos. I think my video was very creative and entertaining but it would have been better if my videos were shorter. This physics project has taught me a lot since I have started this project. By researching my research question “In what ways will sea level rise influence the Korean Peninsula” I have learned lots about Korea’s policies towards global warming. For example, for this research, I have read more than 5 reports made by Ministry of Environment and Korea maritime institute, which made myself an expert in knowing about Korea’s policies towards global warming. According to these reports made by Ministry of Environment, as global temperature increase, there would be a lot of changes in Korea. In the year 2100, average 2-degree Celsius would be increased in Korea’s mainland, which would make a huge difference in Korea. Since the temperature increases rapidly it is impossible for people to grow some fruits ( such as apple).Also as a result of a Rapid increase in the amount of rain due to increase in temperature and increase in sea level, a flood would happen more frequently and extreme drought would also occur in the different part of lands. Lastly, Due to increase in sea level, there would be population increase in the Temperate Zone fishes( such as anchovy and Octopus). Contradictorily, the population of boreal fishes would decrease as time pass. As stated by other reports both South Korea and North Korea both already have great policies towards renewable energy. For example, South Korea has produced 2.37 times more renewable energy than 8 years ago and this amount of renewable energy can cover about 4.6% of all energy we have supplied this year. Also for North Korea, about 29% of the energy used this North Korea is made by the hydroelectric power generator. Which shows how North Korea is quite advanced at some point in using hydroelectric power to create electricity. I think I am quite behind of my timeline since my timeline is made without considering other subjects. Since I am having tests and projects in other subjects also I am quite behind in following my timeline. However, since I am not very behind my timeline I think I can still catch up by working more hard on the weekend. Korean Peninsula, Do you know about Korean Peninsula? It is more than just North and South Korea. People would have to learn hundreds of subjects in deeply to understand fully about Korean Peninsula. I am pretty sure lots of people heard about North Korea and South Korea, the only divided country in the earth. After watching lots of news about North Korea these days, I started to question my self what would happen to Korean Peninsula as sea level rises. As a result of my sub-question, i chose “In what ways will sea level rise influence the Korean Peninsula”. I think this topic would be very interesting and useful for future since by researching Korean Peninsula we would be able to compare Renewable energy policies between South and North. Also by researching Korean Peninsula not only Physics, we would be exposed to lots of different subjects such as Politics, Geography or Biology. In this project on human right, we focused on improving/learning ways to present and more detailed about human right. This is an important skill because we could interoperate this on future projects and human could on of the basic knowledge . One thing I improved while working on this project is my ability to present. This blog post provides a reflection on my work, as well as a sample of what I accomplished. I could involve in lots of ways, indirect and direct ways. But for me I think I can contribute to this organization by donating money and advertise their NGOs by social media for example: Facebook, Twitter, Skype etc. These would help them because since nowadays social media has a great influence on society, by advertising I would gain more people who would donate for them. We had to build a house for disabilities and low income people in this society. We had designed a adorable house for people. This house contain very basic needs for human being. Um… First because its a group project it was quite uncomfortable. This made me uncomfortable because it was quite hard to manage time. For homework there were limited things to do, since we don’t live in one roof. JoonYoung on THE DAY HAS COME… A+ or F…. Tsai-Chen (Doris) on THE DAY HAS COME… A+ or F….